Geo Semiconductor announces the GW3300 and GW3400 programmable geometric processors. The GW3300 integrates fully programmable geometry processing engine can correct for complex lens distortion, perspective and rotational misalignment, as well as brightness nonuniformity in real time with as low as 1/6 frame of latency. The GW3400 integrates the above GW3300 features with an Apical ISP with HDR. The Apical ISP applies different processing to each pixel of each video frame to pull out hidden detail in shadows and highlights while preserving colors, local contrast and natural appearance. 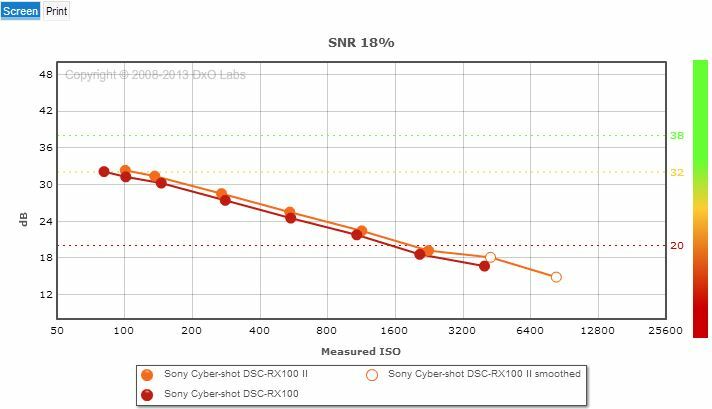 The ISP also has support for HDR sensors. Albert Theuwissen posts that the first ADC session of Imaging Forum scheduled for Dec. 16-17, 2013 is fully booked now. All new registrations are automatically linked to the second session of the forum scheduled for Dec. 19-20, 2013, which has the same agenda. There are no plans for the third session. Rambus: "No More Patent Lawsuits"
Korea IT Times quotes Rambus CMO Jerome Nadel visited South Korea in June: "Rambus will not go for patent infringement lawsuits from now on. Our strategy for the IP licensing business has shifted to mutual cooperation. The ongoing patent lawsuit against SK Hynix will be our last and we will remove the stigma of being labeled as a patent troll." Rambus is said to be transforming into a communications semiconductor company that covers sensor and network technologies. Meanwhile, Ronald Black, Rambus CEO, has shown a block diagram of Binary Pixel test chip in his recent presentation at India Electronics and Semiconductor Association (Youtube playlist is here, part 2, starting at 10:10). This looks like a different test chip from the one published a month ago. Korea IT Times reports that Samsung System LSI Division has launched a mass production of 13MP image sensor for smartphones this May. The newspaper's source said, "Samsung Electronics’ mobile communications division is planning to order 80-90 million CISs for 13 megapixel camera modules this year." Up to recently, the main supplier of sensors in this category was Sony. Now, Samsung LSI joins it too. Apparently, the article is talking about S5K3L2 sensor, which is still marked as sampling at Samsung web site. The newspaper says that the noise and color have been improved over the previous generation 1.1um sensor, possibly talking about the announced in 2011 S5K3L1Y. Omnivision's patent application US20130181119 "Shared time of flight pixel" by Manoj Bukumandla and Sasidhar Saladi describes a ToF image sensor based on in-phase/out-phase sensing of a pulsed illuminator. 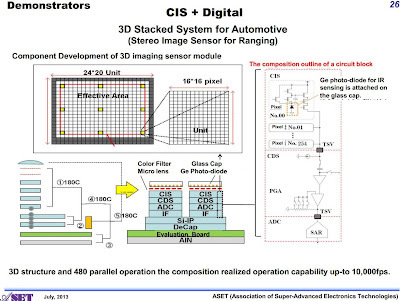 It's nice to see yet another major image sensor manufacturer working on ToF concepts. 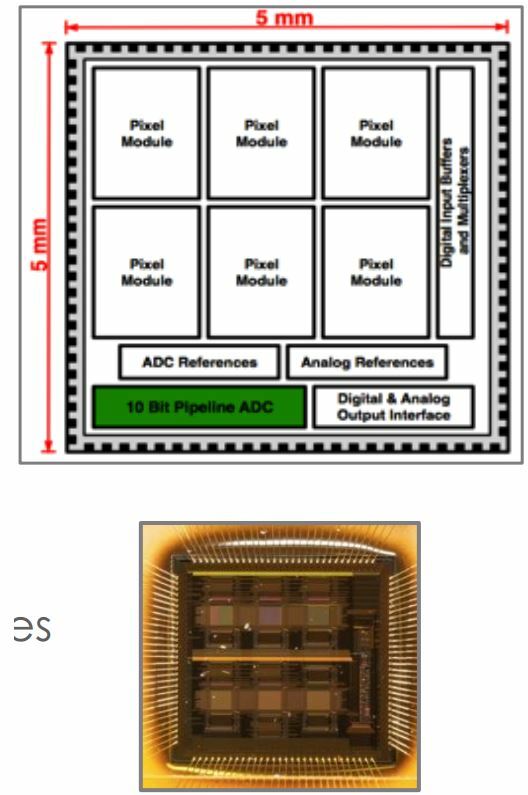 Business Wire: Berkeley Design Automation announces that PixArt has selected the company’s Analog FastSPICE (AFS) Platform for block-level characterization, full-circuit verification, and device noise analysis of their image sensor designs. 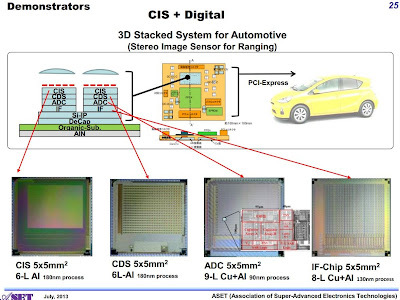 "Our unique image sensing technologies have stringent circuit verification requirements to achieve low cost, low voltage, small dimensions, and outstanding quality," said Ian Wang, Department Manager, Design Supporting Department, PixArt Imaging. "We selected the AFS Platform because it provides the accuracy and performance we require. 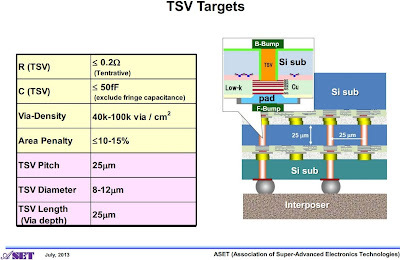 For our key circuits, AFS delivers nanometer SPICE accuracy 5x faster than traditional SPICE and AFS Transient Noise has excellent correlation to silicon measurements." Albert Theuwissen announces that the first imaging forum will focus on "ADCs for Image Sensors" to be held on Dec. 16-17, 2013, in Delft, the Netherlands. The agenda is fixed, and registration for the forum is open. The basic intention of a forum is to have a scientific and technical in-depth discussion on one particular topic. The audience will be strictly limited to enhance and stimulate the interaction with the speaker(s) as well as to allow close contacts between the participants. The forum is intended for imaging engineers working on systems or projects in which analog-to-digital converters determine (part of) the sensor/camera performance. The lecturer is Prof. Marcel Pelgrom, known to every analog designer by his classical works on MOSFET mismatch in Philips. For the last 20 years everybody uses his model in Monte-Carlo simulations integrated into all major circuit simulators. Because of the great response on the first announcement, a second session of the forum is scheduled to take place on Dec. 19-20, 2013. Same location, same agenda, same speaker. Leap Motion announces that it has begun shipping hundreds of thousands Leap Motion Controllers to people who pre-ordered them for $79.99. The company also launched its software, allowing people to control their computers with natural hand and finger movements. It also opened Airspace, the on-line store for people to buy, download and launch apps built for Leap Motion’s 3D interaction. At launch, the Airspace Store contains more than 75 applications built by developers in more than 20 countries. "Today marks a tremendous milestone for the company, but we’re just getting started," said Leap Motion co-founder and CEO Michael Buckwald. "Leap Motion enhances the computing experience to allow people to do things in new and better ways, and we’re committed to breaking down the barriers between people and technology to make the future more easily accessible." Meanwhile, GigaOm discusses its first experience with Leap Motion's platform and it seems to fail impressing the reviewer. Caeleste celebrates 7 years. The company is 15 people-strong now (although only 12 are on the group picture below). Caeleste is pleased to announce a revenue of 1.7M euros this year and it's expected to grow next year. 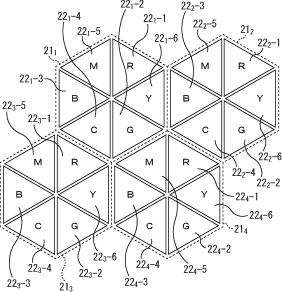 The company also published its IISW 2013 papers here and two new patents on X-Ray sensors here. 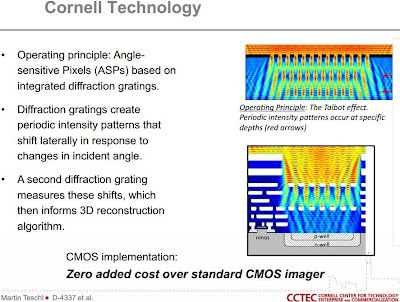 "Lensless Ultra-Miniature Imagers Using Odd-Symmetry Spiral Phase Gratings"
Drs. Gill and Stork introduce a new type of diffractive element based on odd-symmetry phase gratings. Spiral arrangements of these gratings over photo sensors constitute a new class of unprecedentedly small computational camera. "Transmissive Structured Illumination Reveals Target Depth and Cast Shadow Details Obscured by Scattering Media"
During this presentation, Rambus engineers will describe novel methods of computing sharp shadows and depth estimates of objects immersed in highly scattering media using multi-scale structured transmissive illumination, such as modified Hadamard tiles. Rambus scientists Dr. Patrick Gill and Dr. David Stork will highlight their research on digital sensors and novel odd-symmetry phase gratings, outlining how severely blurred sensed image can be inverted computationally to refocus and estimate target distances. Seeking Alpha published Rambus Q2 Earnings Call transcript with Ron Black, CEO, saying"
"At the International Image Sensor Workshop we presented silicon test results of our binary pixel technology we introduced earlier this year where we've expanded the dynamic range by a remarkable factor of 14 when compared to conventional image sensor. And at the Computational Sensing and Imaging Meeting we discussed some early work on our Lensless Ultra-Miniature Images which we believe will lead to significant improvements in imaging and sensing across various fields such as medicine, defense, industrial inspection and testing. We have a lot of exciting developments underway in this group, particularly related to the [in and out of] things and we look forward to sharing more in the coming months." Mobilebloom, Phonearena and few other sites spread rumors that the upcoming Motorola X flagship smartphone will be using Aptina Clarity+ sensor. The new phone is expected to be announced on August 1st. The rumors apparently originate from 2-weeks old post by Android and Me site saying that Moto X will have a camera with "Clear Pixels". e2v wins the Sir Arthur Clarke award for outstanding achievements in space activities. The Sir Arthur Clarke Award is an award given in recognition of notable contributions to space exploration, particularly British achievements. They have been presented annually since 2005.
e2v was selected as the winner due to its outstanding contribution to space imaging projects in the past year including arriving on Mars on board NASA's Curiosity rover, going into orbit in Europe's highest-resolution satellite, Pleiades, and equipping the telescope of the extraordinary astronomy mission Gaia, which is due to launch in the next few months. Digi-Key quotes IC Insights saying that prices for CMOS image sensors are expected to drop about 2% per year for the next four years, although demand for sensors will rise and the market will increase 12% annually through 2017. 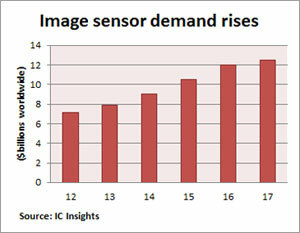 In 2012 there was an 8% increase in the average price of image sensors, according to Rob Lineback, IC Insights analyst. "It was unusual because units only increased 13% and revenue was up 22%. This year in 2013 we see a 1% price drop," he says. In 2012, camera phones accounted for 62% the market, but expected to drop to 53% in 2017. 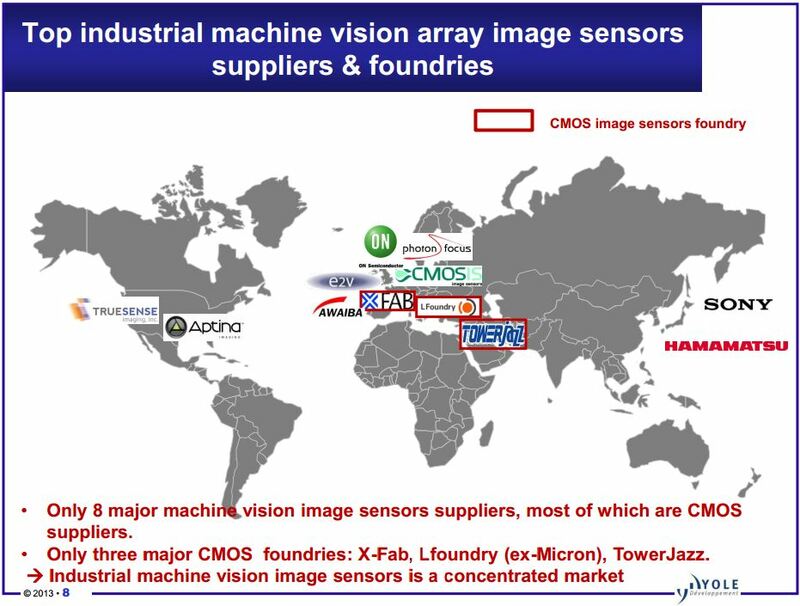 Meanwhile, image sensors for automotive will grow from less than 1% 2012 to 8% in 2017, while medical and scientific sensors will rise from 3% in 2012 to 5% in 2017. The Verge, Mashable and other news sites interpret a Hebrew-language Calcalist article saying that Apple is in talks to acquire Primesense for $280M. The new rumor appears to be continuation of the previous one from about two weeks ago. Both Apple and Primesense refuse to comment of this rumor. 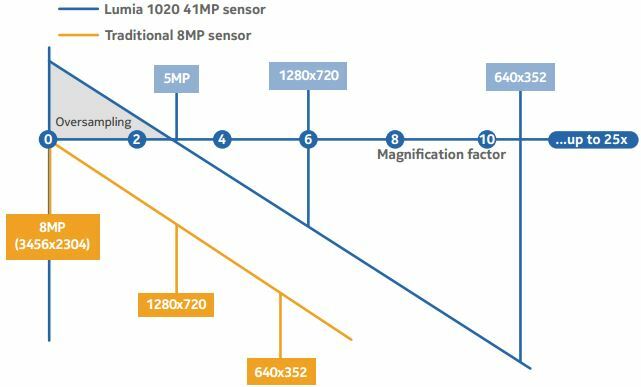 Business Wire: Aptina announces a new Clarity+ 13MP sensor for smartphones, the AR1331CP, featuring 1.1um pixel with Clarity+ technology, which is said to boost the pixel sensitivity by a factor of two without introducing the image artifacts that have limited similar approaches from other sensor makers. "Clarity+ technology uses a Bayer-like pattern with high-fidelity clear pixels that collect two times the light compared to standard green, resulting in a significant improvement in captured signal," said Bob Gove, President and CTO of Aptina. "Clarity+ technology provides the leap necessary to take artifacts and noise out of the equation enabling a world-class image sensor in the mobile-ready, tiny form factor that OEMs need." Aptina has published a whitepaper on Clarity+ technology. Clarity+ starts with the standard 2x2 Bayer RGB color filter pattern commonly used in image sensors throughout the industry, and then replaces all of the green color filters with carefully optimized clear filters. This pattern preserves the high-frequency spatial information of the Bayer pattern, eliminating the aliasing artifacts that are inevitably introduced when both green and clear filters are used in larger kernel (4x4) patterns. The green color is determined through the image processing algorithms that use subtractive and interpolation techniques. Specialized noise reduction is then applied, resulting in a 3dB improvement in low-light SNR, relative to that possible with the RGB Bayer pattern. "Aptina’s Clarity+ CFA pattern (RC/CB) is unique in that we have the same number of B and R pixels as Bayer, but determine G through a subtraction of R and B from C. Because we have the same number of C pixels as other 50% C schemes, we can extract the same SNR improvement. However, because we have the same configuration as Bayer, we uniquely maintain the high fidelity of luma information and low level of chromatic artifacts to which the industry is accustomed. Because G is determined through a subtraction, there is a tendency to amplify noise in the conversion to the standard RGB (sRGB) representation. This is addressed by image processing algorithms that are part of the Clarity+ technology." "As with other patterns involving C pixels, there is a very slight trade-off (a few tenths of a dB) in visual noise when compared to Bayer in bright light situations, but this is not noticeable in those situations, because SNR is high and does not typically limit quality. There is the benefit in bright light situations, that Clarity+’s increased sensitivity will result in exposure times that are half that for Bayer and this is useful for capturing action shots with less blur and motion artifacts. The 50% RGBC patterns (including Clarity+) are also more sensitive to flare and other stray light issues, but this can be managed through appropriate pixel, lens, and packaging design." The whitepaper also has many actual pictures comparing Bayer CFA sensor with the Clarity+ one. The AR1331CP is available now for sampling in die form with raw output for use in systems that are enabled for Clarity+ processing. 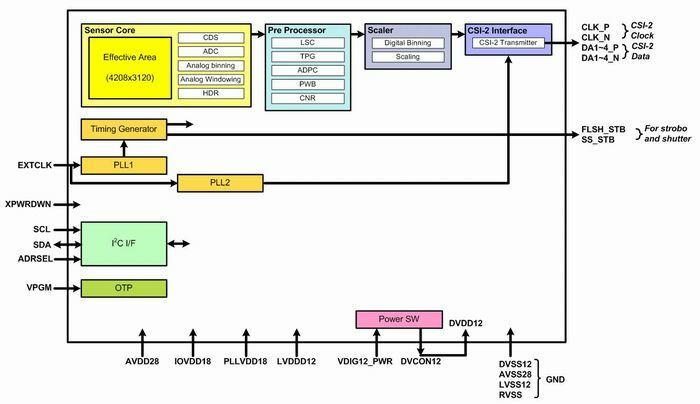 The AR1331CP is also available for sampling with Clarity+ coprocessors that can either fully process the unique Clarity+ images into industry standard camera formats or “pre-process” the Clarity+ images into Bayer format for compatibility with standard image and application processors. SJ Mercury News, CNET, Globes: Intel Israel spokesman confirmed that Intel has acquired gesture recognition middleware startup Omek Interactive, declining to specify the price Intel paid; Israeli newspaper Haaretz reported that the price was close to $50M, while other sources report the price of $30-40M. So far the startup has raised $14M, with Intel Capital being one of the leading investors. "The acquisition of Omek Interactive will help increase Intel's capabilities in the delivery of more immersive perceptual computing experiences," Intel spokesperson told CNET. 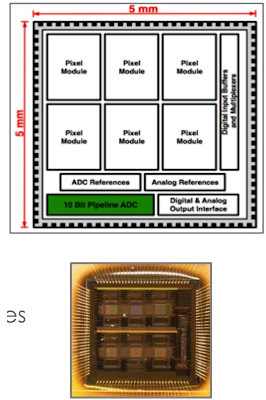 EDN reports that the June PCIe Special Interest Group Developers Conference published M-PCIe spec, with physical layer based on MIPI M-PHY standard. So far it seems nobody in image sensor industry uses M-PHY, in spite of its nice low power features. Hopefully, the wide-spread adaption of M-PHY layer in different mobile systems would make it more popular in image sensors as well. Nokia Conversations: Nokia announces Lumia 1020 Windows 8 smartphone featuring a next generation 41MP sensor combined with 6-element OIS lens. 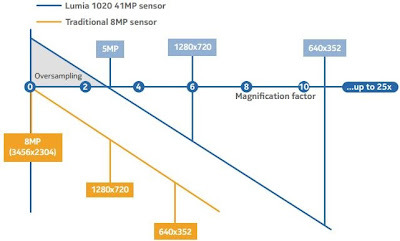 The new sensor has 1.1um BSI pixels, while the last year's 41MP PureView model 808 had 1.4um FSI pixels. The smaller pixel allows shrink the sensor size from 1/1.2-inch to 1/1.5-inch. 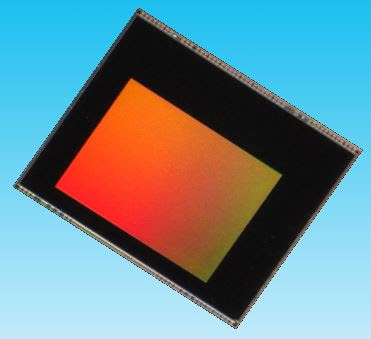 "The second generation 41 megapixel sensor uses the latest generation 1.1 micron back-side-illuminated (BSI) pixels, providing excellent noise performance as well as benchmark resolution. 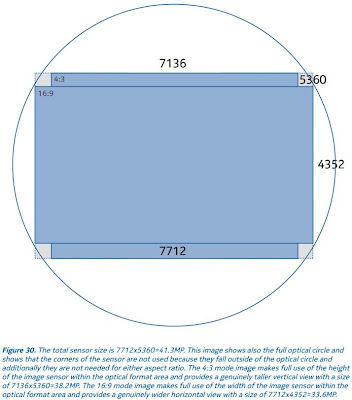 The sensor format is 1/1.5” and it is up to five times larger than typical smartphone sensors. 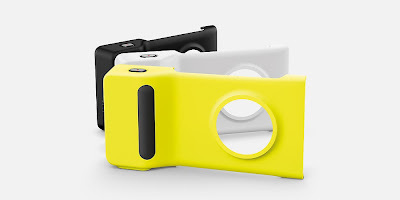 The redesigned sensor provides all the imaging innovations introduced with Nokia 808 PureView – meaning high resolution zooming and pixel oversampling – plus new innovations in a revised, more modern camera module." "One of the critical design decisions in a camera is balancing the subjective image sharpness and noise performance. 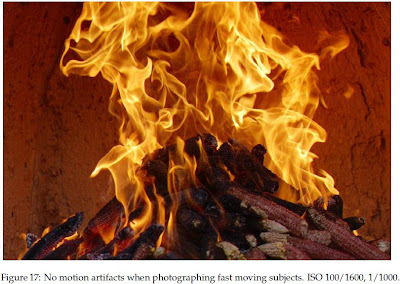 Image sharpness and low light performance (noise or grain) are two sides of the same coin in camera systems and it is extremely difficult to achieve benchmark performance in both simultaneously. 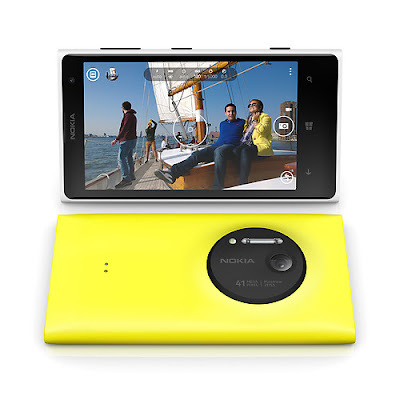 However this is exactly what we have done with the Nokia Lumia 1020." "Together with our partner Carl Zeiss, we yet again pushed the limits of optical design to match the resolution of the 41 megapixel camera sensor. To provide the best optical resolution we increased the number of lenses used from the five in the award-winning Nokia 808 PureView, to six. The first lens element is made of high precision glass, and five of the lenses are moulded high-performance plastic, taking lens manufacturing precision to the next level." (blue) compared with conventional digital zoom (orange). "Image sharpness is usually measured using a tripod (an accessory that the average person rarely carries) in good lighting conditions (also a luxury). 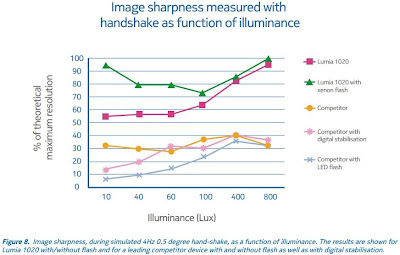 We replicated real life situations, using a hand-shake simulator running at 4Hz frequency, with the Nokia Lumia 1020 challenging a market leading 13MP device in multiple lighting conditions. The Lumia 1020 was tested using the more ‘shareable’ 5MP images and the measurements were done from centre frame for both devices. The results are depicted in Figure 8. 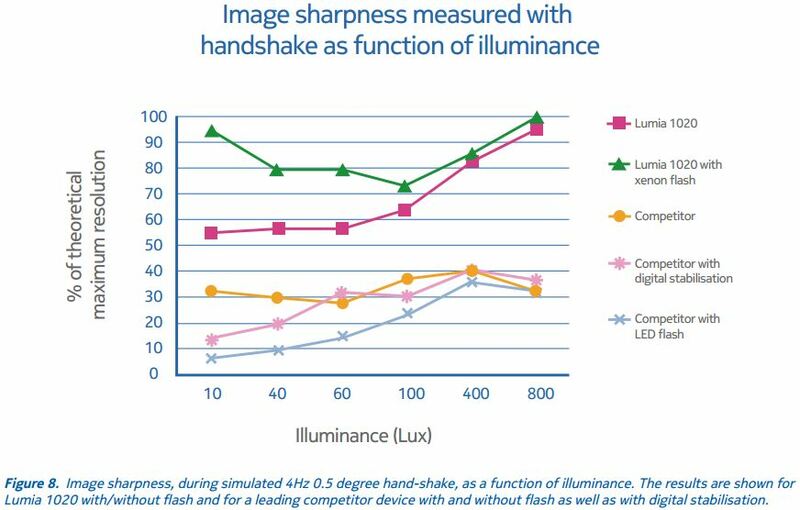 The graph shows that Nokia Lumia 1020 resolves very close to the theoretical maximum of the 5MP image in good lighting conditions, but what is even more remarkable is that because of the combination of OIS and xenon flash we can provide practically the same huge resolution also in extremely dark conditions. And this was measured while introducing handshake to the device! Even without help from the xenon flash the resolution never drops below 50 percent of the theoretical maximum. In low light conditions the competitor device was only able to provide around 10 percent of its theoretical maximum resolution, and even in really bright lighting conditions only 40 percent of its capability was used. So one might ask, why use 13 megapixels, if only 10 percent of the theoretical resolution can be used?" phase. Then magnification can be done all the way to 25X (or 31X for 4:3 images). Update: Nokia Conversations published a post on what large resolution gives. Marbridge Consulting writes that Lenovo's Xbox/Kinect-like maker Eedoo Technology has been acquired by an unnamed software company, according to Marbridge's sources. Eedoo's development team, led by the CTO Ma Chunchen, has been transferred to the acquiring firm, while R&D, administrative, and HR personnel have stayed behind to ensure a smooth transition. Employees made redundant due to the acquisition will not receive severance pay. Eedoo Technology was established by Lenovo in July 2010. BBC published a nice review of computational imaging activities covering Pelican Imaging, Lytro, Nvidia, Microsoft, Hasselblad, Marc Levoy's group at Stanford University, Shree Nayar's group at Columbia University, Martin Turner's group at University of Manchester, and Jack Tumblin's group at Northwestern University. Business Wire: Dongbu expands volume production of 2MP image sensors for BYD (China). BYD expects to ship its 2MP devices to major Chinese smart phone manufacturers such as Huawei (world's third largest smartphone maker, and fifth largest mobile phone maker, according to IDC). "Today’s announcement highlights our foundry capabilities to support fabless Chinese companies meet surging demand in high-growth markets," said Jae Song, Dongbu HiTek EVP of marketing. "Along with meeting BYD’s need for more 2M chips, we are also supporting its development of 5M CIS chips, BYD has successfully introduced 5M CIS, and will soon ramp these devices to volume production. We expect our relationship to blossom further into the development and manufacture of 8M CIS chips." He noted that his company’s foundry relationship with BYD has steadily expanded since becoming its preferred supplier of QVGA/VGA CIS chips for CCTV security applications. BYD's 2MP sensors are based on 1.75um pixels, while the 5MP product is based on 1.4um pixel. 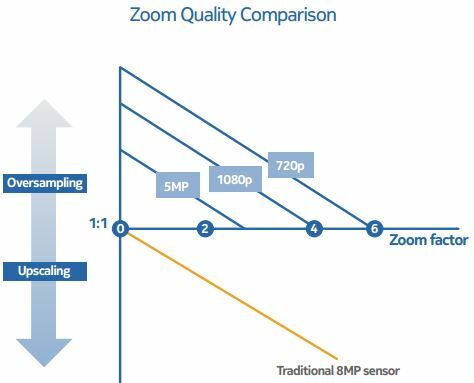 According to TSR, the worldwide sub-camera market is expected to be dominated by the shipment of 2MP resolution products, which are forecast to grow from about 100M units in 2012 to over 850M units in 2016. 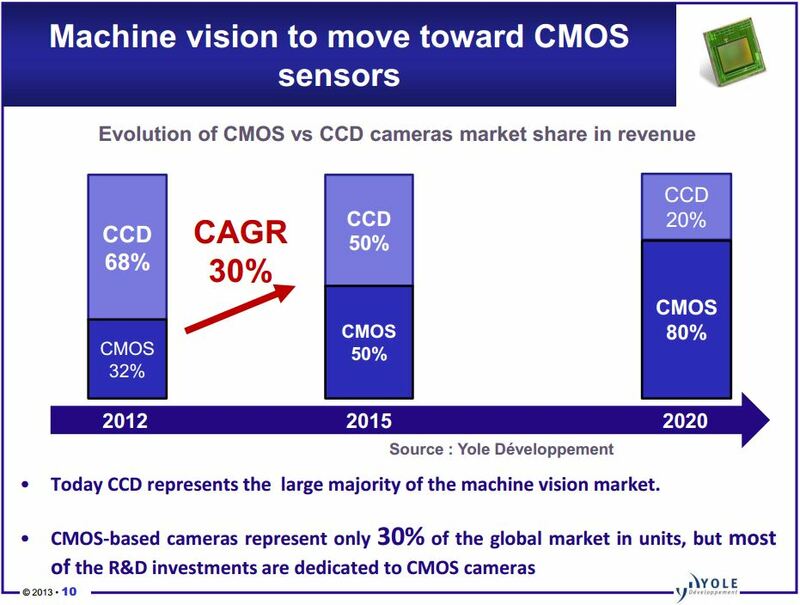 By year end, the 2MP shipments into the sub-camera market are expected to be nearly 40% of the total, and surge to reach about 80% of the total by 2016. By another estimate from Gartner, the worldwide shipment of smart phones is forecast to more than double over the next four years (2012-to-2016). Over this same period, Chinese smart phone shipments are expected to rise from 25% to 33% of the total. EETimes: ISP and image processing software startup Movidius announced that it has raised $16M in series D funding from a group of venture capital firms. 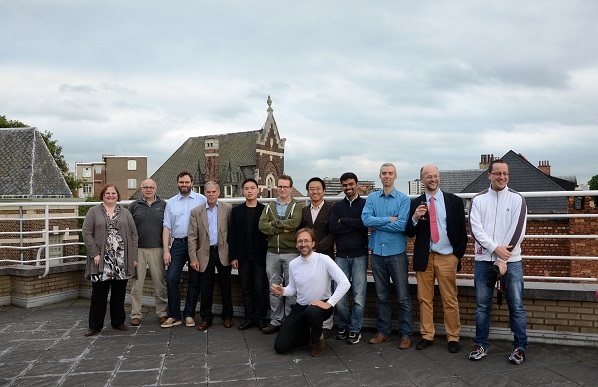 The funding round was led by Atlantic Bridge, DFJ Esprit, and Robert Bosch Venture Capital, with participation from existing investors Capital E, AIB Seed Capital Fund, and private investors. Movidius also announced that Remi El-Ouazzane is the company's new CEO. El-Ouazzane joined Movidius from TI, where he served as VP and worldwide GM of the OMAP business unit. Movidius also moves its headquarters from Dublin, Ireland to San Mateo, CA. Last year, Movidius announced a deal with Chinese electronics manufacturer Keen High Technologies that is expected to generate more than $25M of sales over the next three years. The main advantage of the new design is said to be: "The benefits of the combined use of CMY filters, an RGB filter spectral sensitivity characteristics , so different, is that you can improve the color reproducibility by performing image processing well." PR Newswire: EV Group (EVG) announces the latest version of its EVG40NT automated measurement system, which is designed to work with the company's GEMINI FB fusion wafer bonding system to support the manufacture of next-generation 3D-integrated CMOS image sensors. The enhanced EVG40NT measures wafer-to-wafer alignment accuracy to within 40 nm (3 sigma) (the original EVG40NT used to have 100nm accuracy). Its seamless software integration with the GEMINI FB provides a closed-loop fusion bonding control system that enables the manufacture of less than 2um pitch TSVs. 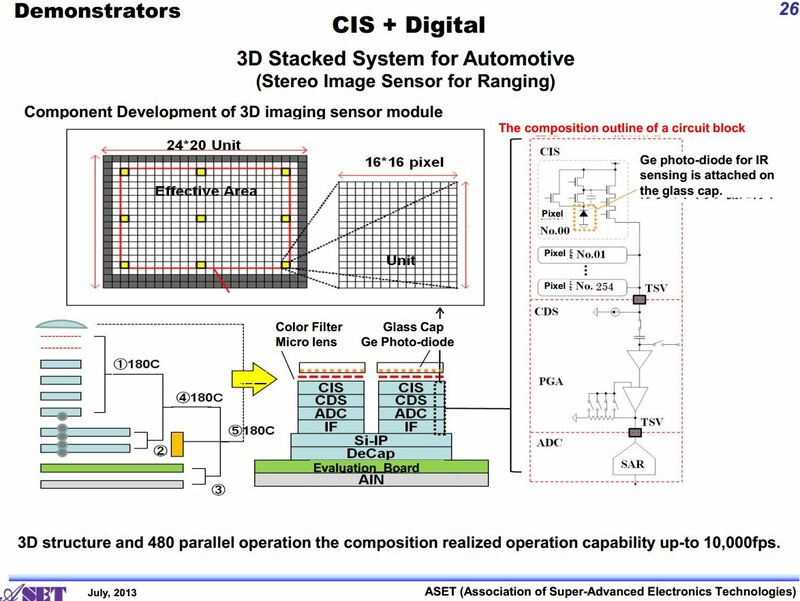 These tighter specifications are necessary for enabling the production of 3D-integrated image sensors. "EV Group's GEMINI FB fusion wafer bonding platform is the de facto industry standard for CMOS image sensor production, and already leads the industry in wafer-to-wafer alignment accuracy due to our proprietary SmartView alignment technology," stated Dr. Thorsten Matthias, business development director at EV Group. "Measuring and mapping each die gives valuable insight into local stress variations created during upstream processes, which can cause distortions and local misalignments further downstream." Fusion wafer bonding for 3D-integrated image sensors is a room-temperature bonding process, which eliminates misalignment due to thermal expansion mismatch between the wafers. Having the ability to inspect the quality of the wafer bond and measure alignment accuracy prior to the final annealing step provides an easy rework path, thereby enabling 100% yield for wafer stacking. The GEMINI FB platform combines EVG's LowTemp plasma activation technology, wafer cleaning, SmartView wafer-to-wafer alignment and fusion wafer bonding in a single fully automated high-volume-manufacturing system. 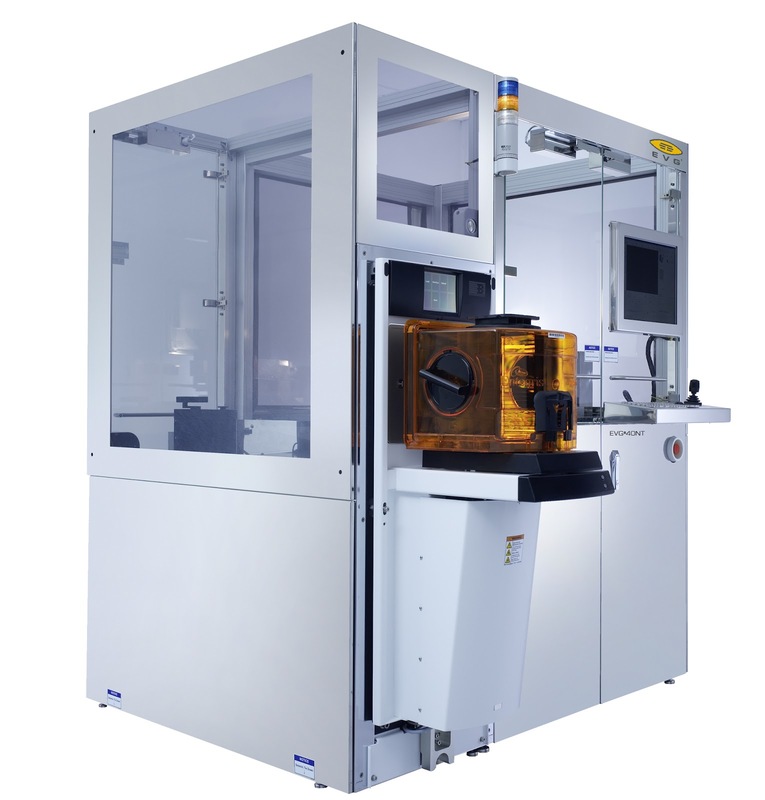 The EVG40NT performs highly accurate, non-destructive, top-to-bottom side alignment accuracy measurements on double-sided structured wafers or bond interfaces, as well as critical dimension and box-in-box measurements of single and double-sided structured wafers. 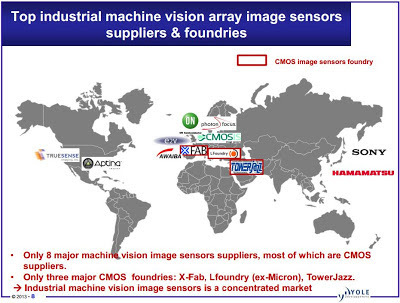 "Next-generation image sensors are the technological frontrunners for 3D-IC manufacturing technology," according to Hermann Waltl, executive sales and customer support director at EV Group. 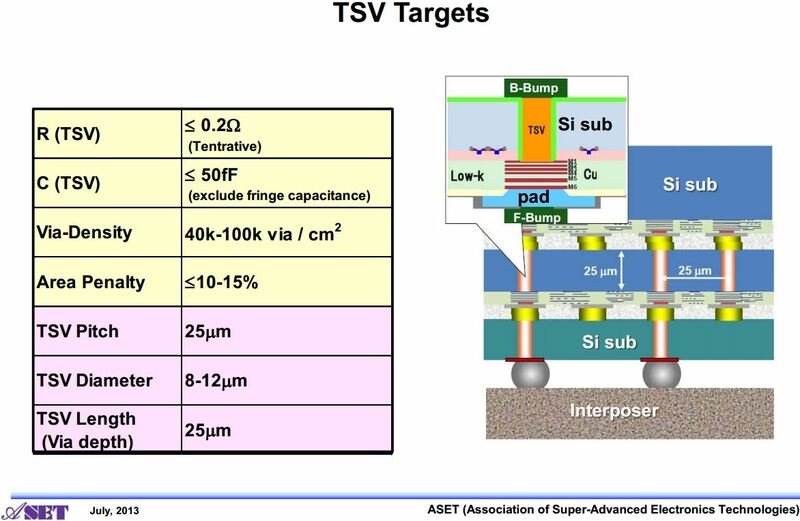 "High-density TSV arrays, sub-micron-diameter TSVs and ultra-thin wafers have all been successfully transferred into high-volume image sensor manufacturing. 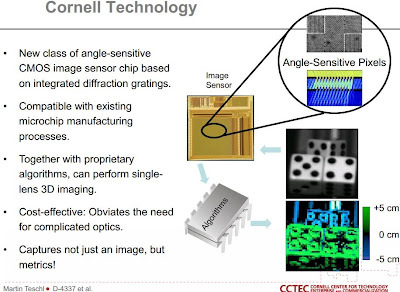 ...that adoption of wafer-to-wafer 3D stacking for image sensors is well underway." Thanks to PD for the info! Thanks to MM for the link! DxO has tested the latest Sony Rx100 II camera featuring 20.2MP BSI sensor with 2.4um pixels and compares it with the last year Rx100 camera with identical size FSI pixels. Sony says the new sensor is 40% more sensitive to light. 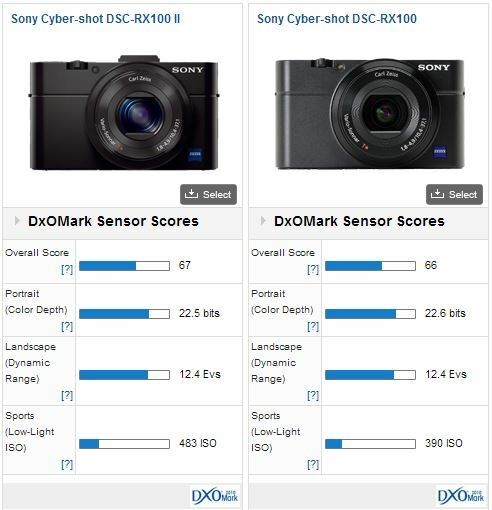 DxO measures a more modest 24% ISO improvement. I'm not sure if ISO is measured just in the center of the sensor, or over the whole sensor area including sides and corners. Possibly, corners could show a bigger improvement due to a better angular response of the BSI sensor. "'Time-of-flight is not a technique for ultra-high precision 3D imaging,’ notes Ritchie Logan, VP of business development at Scottish TOF company Odos Imaging, adding that applications requiring sub-millimetre precision over short distances are better solved using triangulation or structured light techniques. ‘The natural scale for time-of-flight imaging is over the range of one to 20 metres, with a precision of around 1cm,’ he says. Odos Imaging’s TOF system has a resolution of 1.3 megapixels, which makes it more suitable for industrial vision. Odos’ sensor has a relatively simple pixel design, meaning the company can scale it to higher resolutions, while placing the majority of processing within the digital domain. The use of a simple pixel design also provides a dual benefit, in that each pixel can act to capture distance or intensity. In effect, the system can provide both data types, acting as a conventional camera during one frame before capturing 3D data during the next, says Logan." "Pmd’s chips will be ready for mass-volume production by Infineon in 2014. 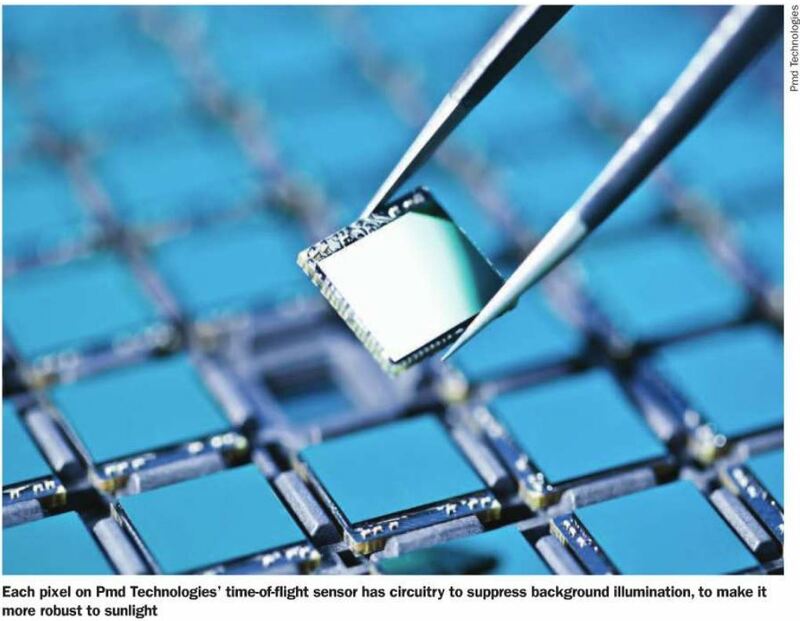 The sensors for the consumer market will have resolutions of 160 x 120 pixels or 352 x 288 pixels." "In a presentation at the Image Sensors conference (IS2013) in March, Jim Lewis, CEO of Swiss TOF company Mesa Imaging, set out what he considered were some of the myths surrounding what time-of-flight technology can achieve, one of which concerned its ability to operate outdoors. He said the technology needed improvement for outdoor applications, where direct sunlight, longer operating ranges, variable scenes, and bad weather conditions all make acquiring accurate 3D data difficult." Business Wire: Toshiba announces that its 13MP, 1.12um BSI pixel T4K37 image sensor mass production starts today. The T4K37 was first announced in Nov 2012. 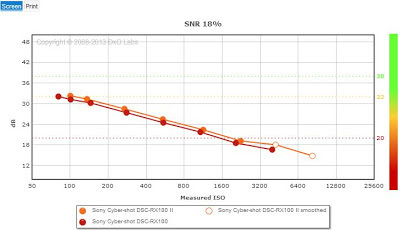 The new sensor features HDR, CNR (Color Noise Reduction) and high frame rate of 30fps at full resolution (RAW10). 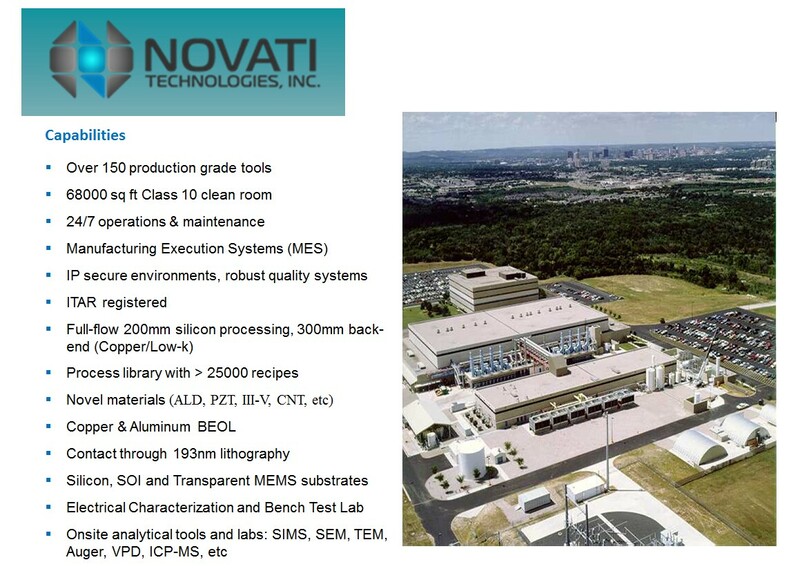 Gigaom writes that Austin, TX-based Novati opens foundry service this Monday, offering image sensor services, among other things: "The company has developed a new type of image sensor for someone trying to build a better camera, ... and it has improved night vision goggles for the military by putting a different type of material on top of the traditional silicon used by chips." Novati belongs to 3D integration company Tezzaron, that acquired SVTC Technologies manufacturing assets in Oct. 2012. 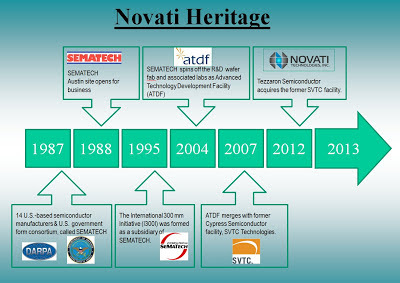 The manufacturing facility used to be Sematech fab before SVTC. 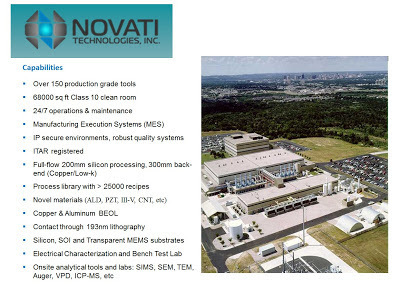 Novati's business model is to produce runs of 200-500 wafers for clients that "don’t need to chase Moore’s Law to the new frontiers of physics", offering exceptional flexibility with 200mm and 300mm (BEOL only) equipment. 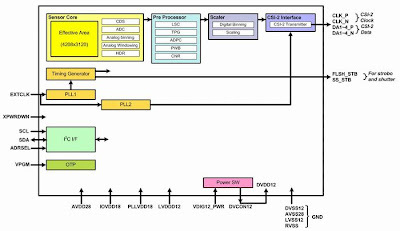 That way customers can try different ideas and develop new devices that are hard to fit to the standard CMOS process flows. Being a subsidiary of Tezzaron, Novati can use its 3D integration ideas with TSV. 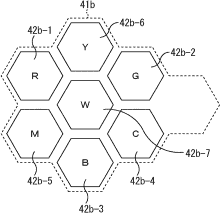 The company has also licensed Ziptronix wafer bonding patents. Albert Theuwissen continues the series of "How to Measure..." posts. 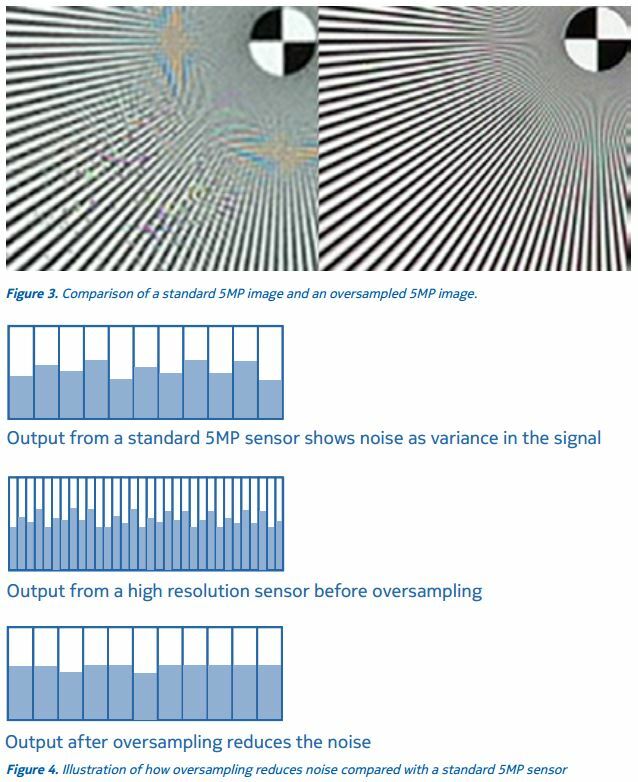 The latest post discusses the linearity of gain control in image sensors. Business Wire: Canon announces a Dual Pixel CMOS AF, an autofocus technology for the EOS 70D Digital SLR camera. 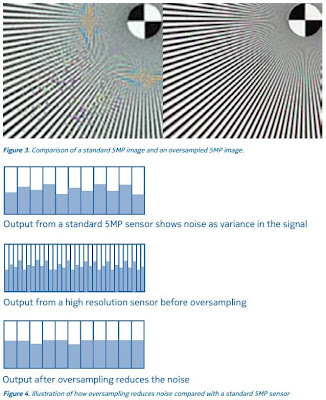 Dual Pixel CMOS AF, a phase-detection AF technology conducted directly on the image sensor plane, employs a CMOS sensor on which all of the effective pixels are able to perform both imaging and phase-detection AF simultaneously to achieve dramatically improved AF performance over prior EOS cameras during Live View and video shooting. 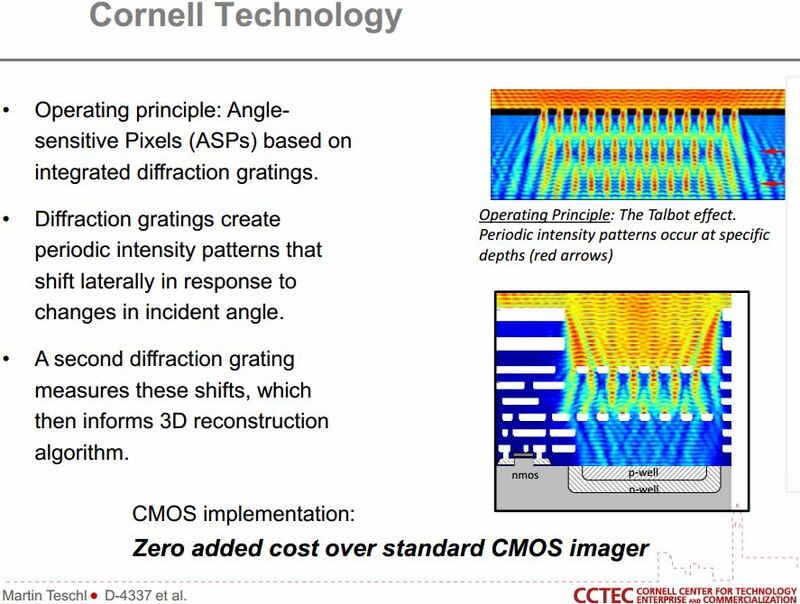 Each individual pixel on the CMOS sensor incorporates two independent photodiodes which output signals that can be used for both imaging and the phase-detection AF. 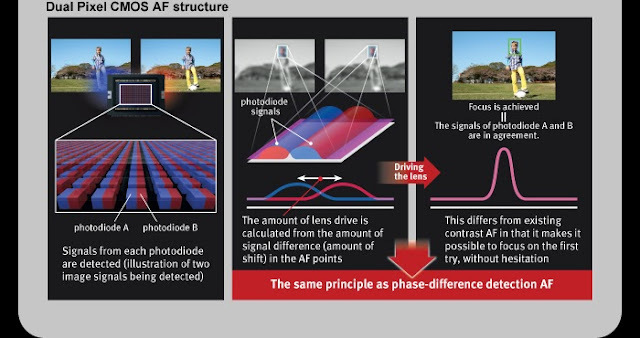 Compared with earlier generations of Canon’s image-plane phase-detection AF, Dual Pixel CMOS AF realizes shorter focusing times, outstanding tracking performance and smoother autofocusing during video shooting. Compared with the EOS Rebel SL1, which employs Hybrid CMOS AF II, the EOS 70D Digital SLR camera (scheduled to go on sale in September 2013), which is the first camera to feature Dual Pixel CMOS AF, not only achieves AF speed that is approximately 30% faster but also delivers improved Movie Servo AF tracking for continuously smooth focusing during video shooting, even when filming quickly moving subjects. "Each pixel on the EOS 70D camera's sensor consists of two independent photodiodes that function both as imaging points and as individual phase-difference AF sensors. When the shutter button is pressed, parallax images on each photodiode of the pixel are detected, the amount of lens drive is calculated to correct the amount of shift in the AF points, and AF is achieved nearly instantaneously. During image capture, the same two photodiodes record the image and output as a single pixel. By placing approximately 40.3 million photodiodes on the camera's sensor, two per pixel, this caliber of AF is possible on approximately 80% of the image plane, vertically and horizontally. When the image or video clip is being captured, the CMOS sensor behaves as it always has with EOS SLR cameras, unimpeded by the dual photodiodes and recording each individual pixel with virtually no loss of detail or sharpness." NoCamels News: Israeli Hebrew-language newspaper Calcalist reports that Primesense is in acquisition talks with companies like Samsung, Sony or Apple, with a price tag of $300M. The talks are said to be just in the beginning stage. So far Primesense raised $85M and currently has 150 employees.